What Grout Spacing Should I Use for 6X6 Tiles? One of the best ways to provide a beautiful and long-lasting floor or wall covering for your bathroom or kitchen is to cover it with tiles. The tiles you choose depend largely on your own style and what you think looks best. The best tool to use to space tiles evenly during application is a tile spacer. Tiles come in a number of different makes, shapes and styles. They can be made out of ceramic, stone, slate, porcelain or many other different materials. The type of tile material used is typically related to the area where it is laid. Ceramic tiles, for example, are very impervious to water and are best employed in areas that have a high moisture content, such as bathrooms and kitchens. Grout is used to seal the spaces between tiles. It is available pre-mixed, in which the grout is combined with water and sold in buckets or other similar containers, or dry, in which you must mix the grout with water before it is used. Grout also comes in a number of different textures, ranging from fine to coarse. In addition to variations in the texture, colored grout is available, or you can color it during mixing. This allows the DIYer to match the grout to the decor of the location where the grout is placed. Tiles are typically measured in inches, so a tile with a measurement of "6x6" means it is 6 inches on each side. Spacers are small, plastic, cross-shaped pieces that you place between the tiles as you lay them. The spacers help you place the tiles at a consistent distance from each other. Spacers come in a variety of sizes and styles, from 1/8 inch all the way up to 1/2 inch and beyond. One spacer is set between every four tiles to maintain the required distances between the corners. 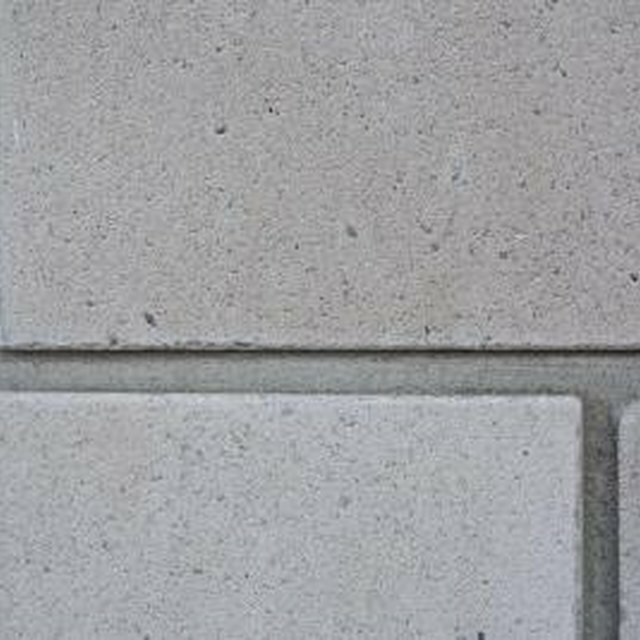 The size of the spacers determines the spaces between the tiles. It's important to choose the right sized spacers, otherwise there might be too much or too little grout between the tiles. For tiles that are 6-by-6 inches, 3/16-inch spacers are ideal. This provides a good compromise between 1/4-inch spacers, which may be too large, and 1/8-inch spacers, which may be too small. Personal taste and an eye for decor will also help you determine which is the best spacer for 6-by-6 tiles.